This page presents three contemporary design sailing ships. In addition to their present day profiles, these sailing ships utilize computers and machinery taking the place of sailors climbing the rigging to furl and unfurl the sails. The sails are assisted by engines. 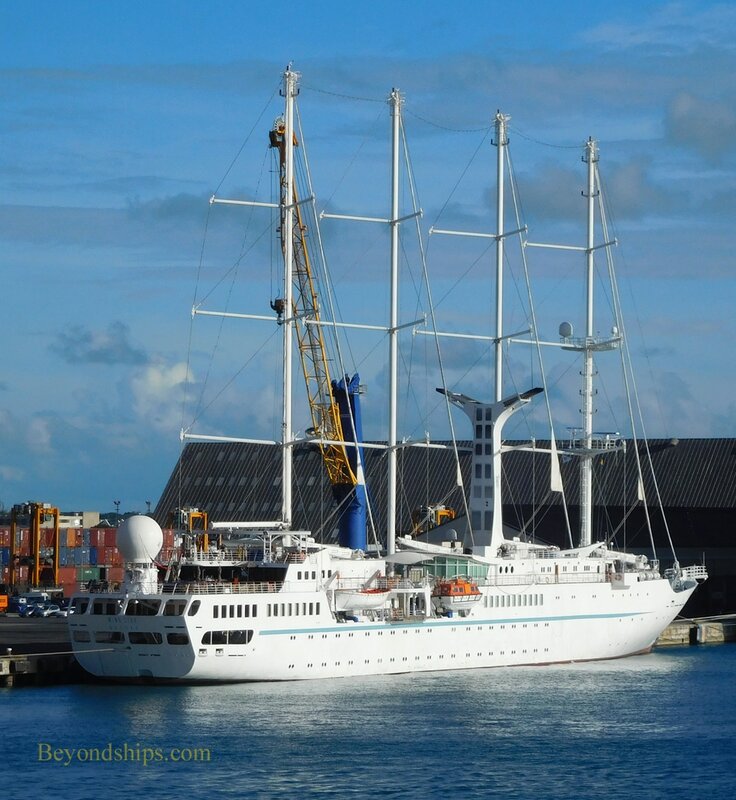 ​​The first ship built for Windstar Cruises, Wind Star is smaller than the other ships on this page. But then the number of passengers is kept low. She offers a casual cruise experience without organized activities or large cruise ship amenities. 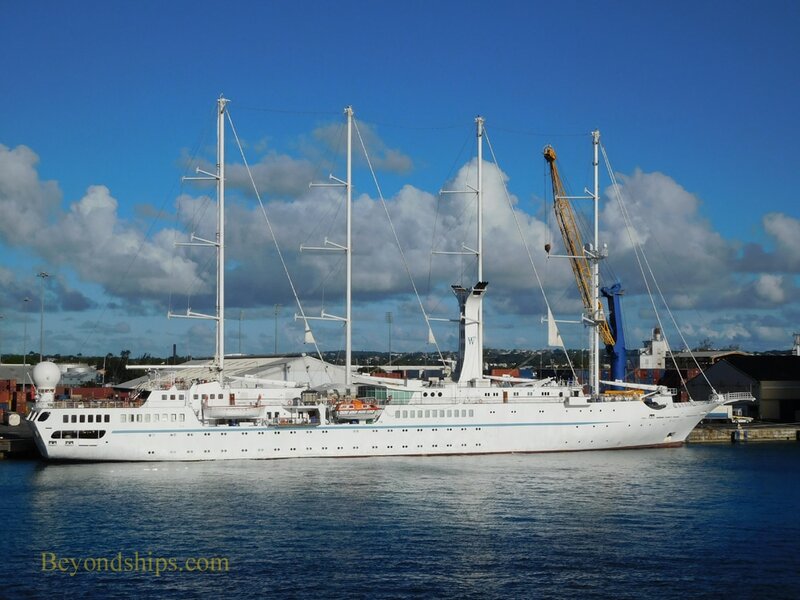 Wind Surf offers a casual, small ship approach to cruising. 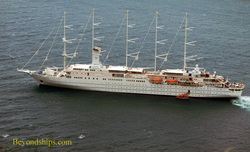 However, the ship has such cruise ship staple amenities such as a casino, an alternative restaurant and a spa. The ship's interior was renovated in late 2012. Club Med 2 seeks to bring the style of the land-based Club Med resorts to sea. The reason she looks like Wind Surf is that they are near-sisters. 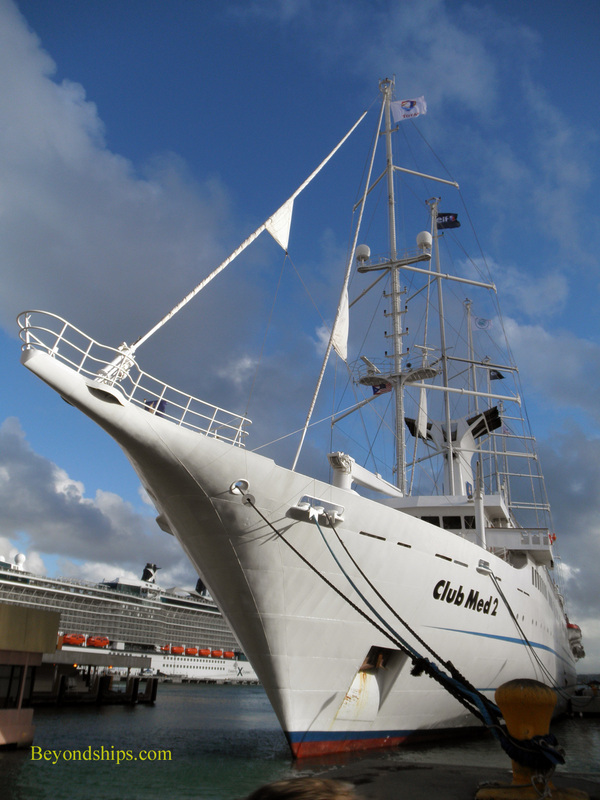 Wind Surf began life as Club Med 1. 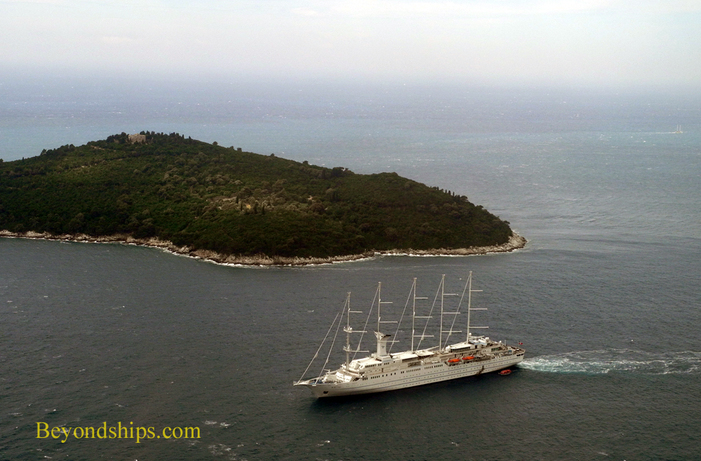 Like Wind Surf, the ship has a spa and both a main dining room and alternative restaurant. The stern opens up to form a private marina. Club Med 2 was refurbished in 2008.